If you manage a fleet of vehicles, there are probably a million things that need your attention at any given moment. Between keeping your fleet in working condition, managing your crew, and keeping on schedule, you can likely use all of the help that you can get. Here at Reeder Distributors Inc., we can take one of those things off of your plate with our fuel delivery services. Here’s how they can benefit your business. Time is money, and every moment that you’re not checking, reordering, and stocking fuel is a moment you can spend doing something else productive. When you have your fuel delivered from us, you’ll also be able to order lubricants and other necessities for keeping your fleet ready. You will also get access to all kinds of tracking equipment and features that will free up time in your day for more productive endeavors. 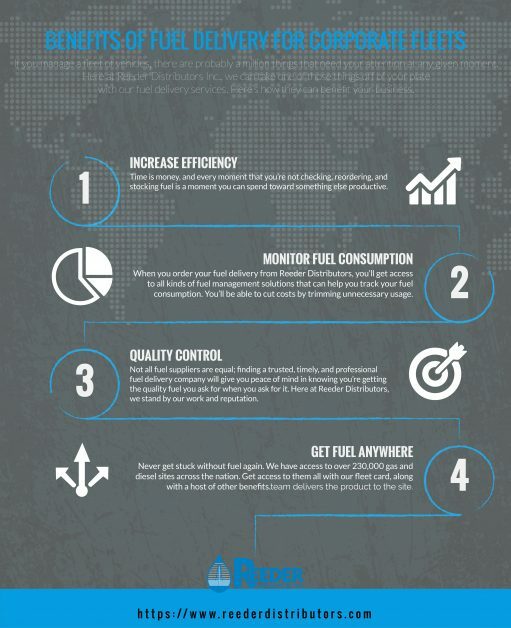 When you order your fuel delivery from Reeder Distributors, you’ll get access to all kinds of fuel management solutions that can help you monitor your fuel consumption. You’ll be able to cut costs by trimming unnecessary usage and make the fuel you use go further. Fuel monitoring is also a great solution for preventing or recovering from fuel theft. Not all fuel suppliers are equal; finding a trusted, timely, and professional fuel delivery company will give you peace of mind in knowing you’re getting the quality fuel you ask for when you ask for it. Here at Reeder Distributors, we stand by our work and reputation, and succeed based on the relationships we build with our customers. Try us out, and judge our service yourself. Never get stuck without fuel again. 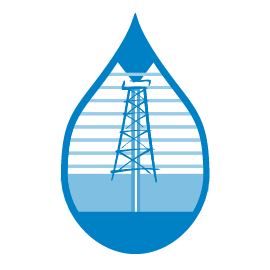 We have access to over 230,000 gas and diesel sites across the nation. Get access to them all with our fleet card, along with a host of other benefits. You can even pay from anywhere with our online bill pay feature. We offer wholesale fuel distribution options for companies who want to lower their price point. You need only contact one of our representatives to get a quote on the fuel sizes you’ll request. Want fuel to be one less thing you’ll have to worry about? Trust the professionals here at Reeder Distributors, your Texas fuel delivery solution. We will take all the hassle out of keeping your fleet fueled and ready. If you have any questions about our products or delivery, please don’t hesitate to give us a call. One of our friendly and knowledgeable representatives will be happy to answer any questions you may have.